Remote luxury guest ranch Brooks Lake Lodge & Spa near Dubois, Wyoming, has created a new fall package that includes a day experiencing the Jackson Hole Fall Arts Festival and Western Design Conference in Jackson, Wyoming. The weekend package, available Sept. 7 – 11, 2016, combines the trip to the popular arts festival with outdoor backcountry activities at the exclusive, all-inclusive lodge. The remote, all-inclusive Brooks Lake Lodge & Spa is offering a unique package this fall allowing guests to experience the Jackson Hole Fall Arts Festival. 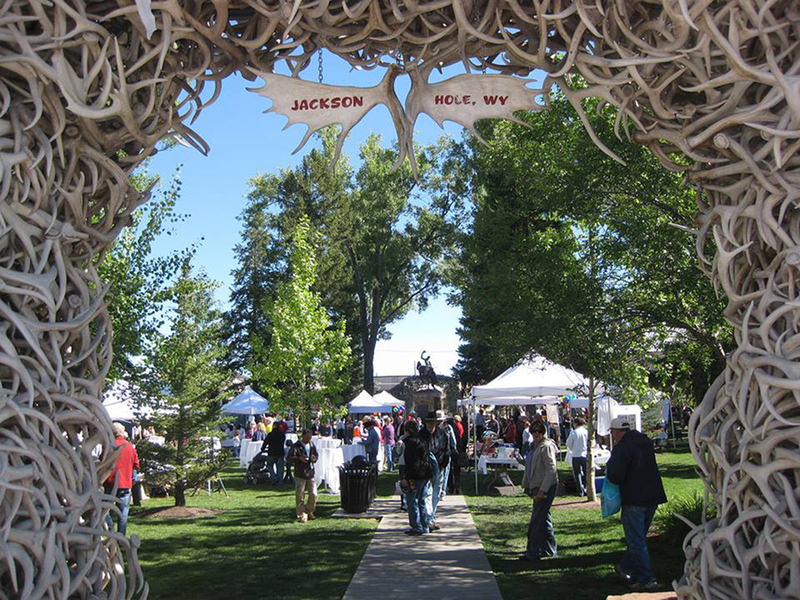 We anticipate that guests will enjoy a day in Jackson at the Western Design Conference and Jackson Hole Fall Arts Festival. A special day enjoying the best of the Jackson Hole Fall Arts Festival and Western Design Conference is part of a new fall long-weekend getaway package from luxury Wyoming guest ranch Brooks Lake Lodge & Spa. The 100-year-old historic lodge and exclusive resort experience is located on pristine Brooks Lake in the Shoshone National Forest, a short drive from Jackson Hole, Grand Teton National Park and Yellowstone National Park. Brooks Lake Lodge created the new four-night Jackson Hole Fall Arts Festival Day Out package, offered Sept. 7-11, 2016, to provide guests with a fun day in town to visit the renowned Jackson Hole Fall Arts Festival and Western Design Conference while still taking advantage of the remote scenic beauty and outdoor activities of a Brooks Lake Lodge & Spa stay. The Jackson Hole Fall Arts Festival Day Out package includes Brooks Lake Lodge accommodations, meals, activities and spa access—plus round-trip transportation to Jackson, Wyo., on Friday, Sept. 9, and admission to the Western Design Conference. Rates for the Sept. 7-11, 2016, four-night all-inclusive package start at $2,133 per person (double occupancy); taxes and resort fees are included. Now in its 32nd year, the Jackson Hole Fall Arts Festival takes over the town of Jackson during one of its most beautiful times of year, with the surrounding mountains ablaze in color. On Sept. 9, more than 30 of the town’s internationally known art galleries open their doors to showcase magnificent art with food and wine for the much-anticipated Palates and Palettes Gallery Walk, one of the festival’s most popular events. 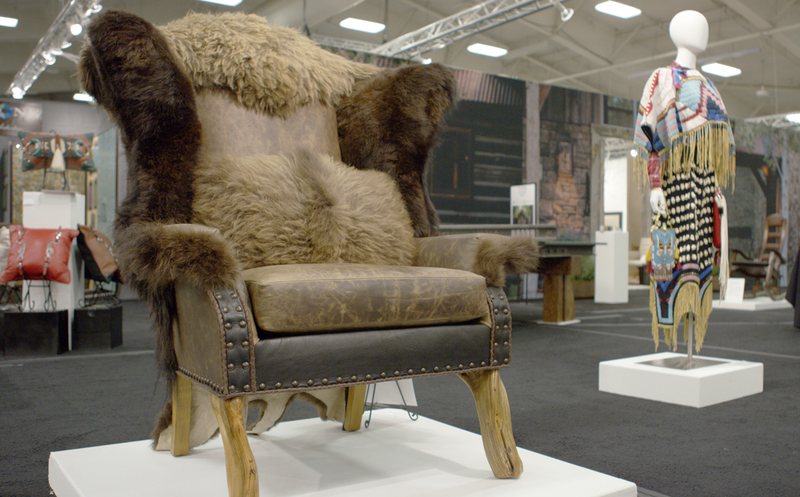 A signature event of the Jackson Hole Fall Arts Festival, the Western Design Conference Exhibit + Sale (WDC) presents one-of-a-kind Western-inspired functional art that reflects a high degree of sophistication, creativity and craftsmanship – often with an innovative use of distinctly Western materials. Art lovers and collectors will find a variety of unique handmade furnishings, accessories, fashions and jewelry on display and for sale, with the opportunity to meet and talk with the 130 juried artists for a deeper understanding of the influences and processes that went into creating the pieces. Brooks Lake Lodge & Spa, a 100-year-old historic guest ranch near Jackson Hole, Grand Teton National Park and Yellowstone National Park, sits at 9,200 feet above sea level one mile from the North American Continental Divide, with views of the Pinnacle Buttes, Austin's Peak and Brooks Mountain. Surrounded by mountains, evergreen forests, wildlife and the pristine Brooks Lake, the exclusive, all-inclusive Wyoming Rocky Mountain resort offers five-star service, luxury accommodations and gourmet dining. The new separate spa facility was built with Western craftsman-style detailing to complement the historic lodge. A dude ranch by summer and ski and snowmobile haven in the winter, the lodge provides year-round activities for outdoor enthusiasts. All-inclusive rates include lodging, meals, activities and spa access. For additional information and reservations visit http://www.brookslake.com or call 866.213.4022. Guests of Brooks Lake Lodge & Spa’s Fall Arts Day Out package receive transportation to and from Jackson Hole to enjoy the festival’s cultural activities. 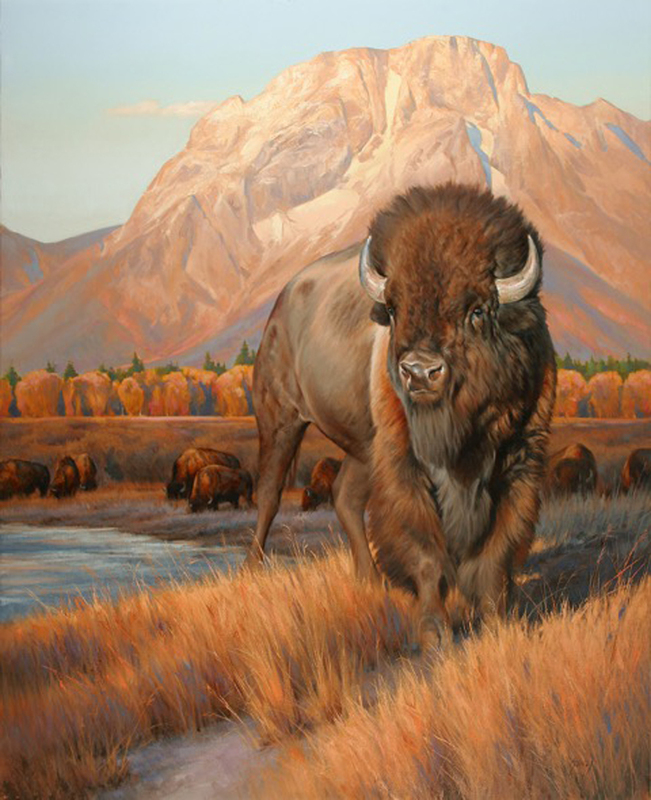 “Greeting the Dawn” by Edward Aldrich is the featured artwork of the 2016 Jackson Hole Fall Arts Festival, which begins September 7. Brooks Lake Lodge’s Fall Arts Day Out package includes tickets to the Western Design Conference Exhibit + Sale, which features museum-quality functional art available for purchase. Brooks Lake Lodge & Spa is famous for its uniquely remote Wyoming location and range of activities for outdoor lovers such as horseback riding, fishing and hiking. Brooks Lake Lodge & Spa includes a full-service spa for guests to enjoy a variety of relaxing treatments as well as an 11-by-17-foot hot tub with incredible views.